As I stated on my previous post, my research on Elenin left me with literally hundreds of pages, screen shots, statistics and graphs I made for my own visual comprehension of it all. I endeavored to congest as much as possible so as not to overwhelm anyone and was able to get it down to the following, which if I have opportunity I will continue to tweak and add to it. Nevertheless, once more I would like to preface this post by saying I have not enjoyed working on this at all. I have countless hours, too many days and several weeks invested in it. I would much rather focus on Jesus, sharing Him as the only hope to a lost world.. Therefore please bare with my feeble attempt to reach and share some conclusions of my research. It may should not in the least be considered an “exhaustive research,” but I will state it has exhausted me. Remember I am not a scientist, just a building contractor whose limited understanding of the laws of physics comes simply from hands on experience in work and everyday life. Gravity to me is basically a magnetic pull and objects seem to respond to predictably when subjected to the push and pull of leverage and force. I am sure my perspectives and thoughts can be scrutinized, and should be. However, having had to analyze structural problems and conditions for cause and effects I have learned applied force has predictable consequences. Sometimes the affects can be seen mostly in the lineal, meaning in direct line of the force of either the push or pull. However sometimes there are there lateral effects, meaning consequences that can be measurably noticed or predicted to the sides of something, or outside of an alignment of objects. All that being said, one of many thoughts I had (that may not be correct but seem to relative) is that Elenin would have a more noticeable effect on Earth when it is moving away in its orbit than when moving towards it. I base that upon my assumption that any gravitational pull would be somewhat mollified by the motion of the two objects towards each other, similar to two objects tethered together by a pulling force that would seemingly in my mind be naturally relieved somewhat by the momentum of the two objects together. If this were true then the effect of Elenin’s gravitational pull (if there is any) might be heightened when Earth’s orbit direction begins to move away from it. Regardless though, it seemed to me at the distances we are examining that there would be a fluctuation of magnetic pull both before and after alignment with a peaking during alignment. Now with all being said, let’s look into some of what appears to be evidence and perhaps facts as they were gathered from the sites previously noted. However, not wanting to be one promoting conspiracies, I must be honest that I am inclined to believe if the information gather from these websites were wrong it would be due to concealed information, things that the government does know and is intentionally keeping from the general population. The first earthquake that came to mind to check was the 2010 Haiti catastrophic 7.0 magnitude earthquake west of Port-au-Prince, Haiti’s capital on Tuesday, 12 January 2010. However, that earthquake did not happen with any alignment between Elenin and us. 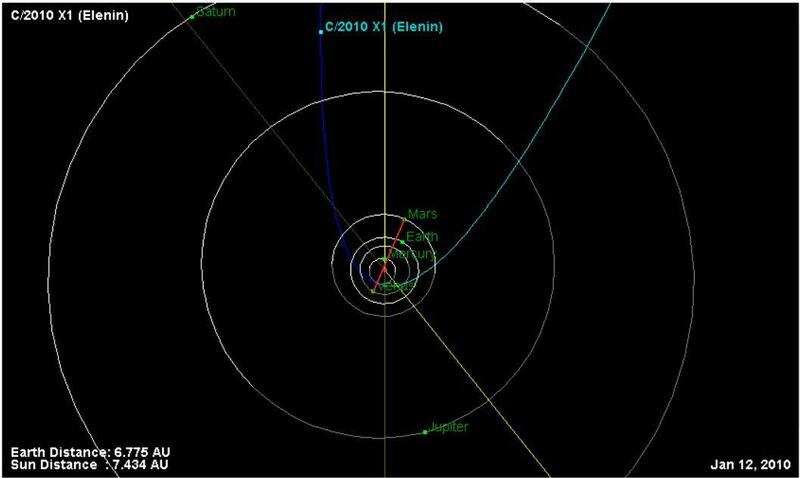 However, there is still the planetary alignment which does seem to have some relativity. For on January 3rd Venus, the Sun, Mercury and Earth begin to come into alignment with the 5th appearing to be the day alignment was best, between which time seismic activity seems to spike some and again when Mars was included with Venus, the Sun, Mercury, Earth and in somewhat of an alignment. As we can see from the graphs I prepared below that that seismic activity started as the planets alignment began and reached a peak just before the 5th. Perhaps just shifting the tectonic plates into another position of stress that was released with greater activity on the 12th and 13th. 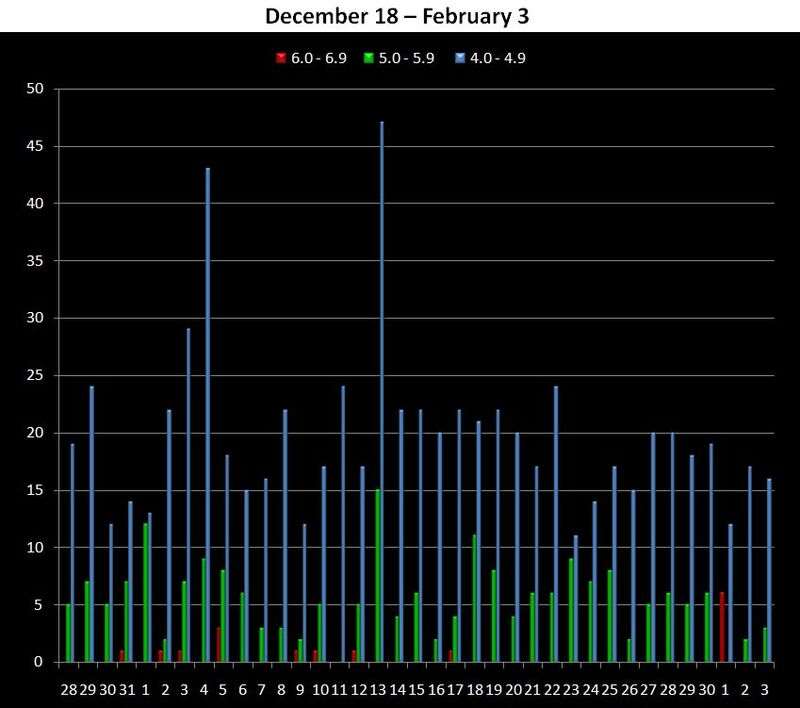 When comparing the frequency of seismic activity during these 36 days with the daily average there is really no great distinction, rather there is actually a slight decrease from 27.61 earthquakes daily to 26.75. However, there was an increase in the daily average of earthquakes with a magnitude of 5.0 and above from the yearly daily average of 3.83 to 5.86 which is in itself a little more than a 65% increase. Regardless, in the graphs above we can see the increased spike earthquake activity beginning just as the planets began to align as seen in the two pictures below. They that curse Israel will be cursed . . .
Posted: July 4, 2011 in America, End Times, Wake Up! The following is an outline I prepared for a men’s prayer meeting I attend. It is a list showing the undeniable relationship between American policies since the Mid-East Peace Talks were initiated by President George H. Bush Sr. back in 1991. All this info and much, much more can be found in William Koenig’s book Eye to Eye. If you have not read this book, it is well worth your time and money. Last I heard over 75 books have been hand given to member of the Obama administration and other members of the US government. I share this simply as an eye opener to fellow believers and as a witness tool to present to others that there is a Creator of heaven and earth that oversees the affairs of men Who will not break His covenant to the fathers, i.e., Abraham, Isaac and Jacob concerning Israel. Ro 11:28 As concerning the gospel, they are enemies for your sakes: but as touching the election, they are beloved for the fathers’ sakes. History proves that God is still blessing them that bless Israel and that He will also curse those who posture themselves against her. I am sorry that the list does not go all the way up to the present and that the format isn’t better, but I was under time constraints and was never able to complete it.